With Valentine's Day around the corner, there are some people who are excited for the candy, flowers, and jewelry, while others who pretend this holiday "created by the card companies" doesn't exist. I don't think that I really side with either camp, but I do like the idea of Valentine's Day, if only to restore the time my husband and I spend together. We make sure that February 14th is just about the two of us, but more importantly, we remind ourselves that each and every day we should be making our time commitment to each other just as important. We're both so busy, and sometimes it's hard to even carve out an hour or two at night to enjoy a nice meal together. Well, I've found the best solution: our meal planning board. Hanging in our kitchen, our board has each meal for the week clipped to the day that we'll be enjoying it. For nights we know we'll be home early from work with all the time in the world, we plan elaborate meals or dinners out around town, while other days that we know we'll be busy with kickball or tennis, we think more practically and plan a quicker (and usually much less expensive option) like PF Chang's or Bertolli frozen meals. All you need to create your own board is: a piece of canvas, some fabric, clothespins, card stock, a small basket (like an unused berry basket) and glue. 1. 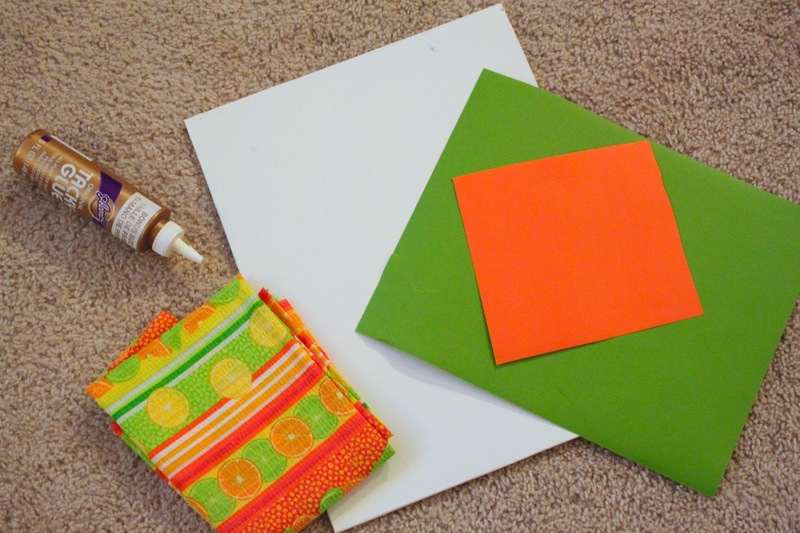 Cover the canvas with your fabric and glue it down. 2. Cut 7 small squares of card stock and write the days of the week on them. Glue these to 7 clothespins. 3. Arrange the 7 clothespin by the day of the week, and glue them to the canvas. Let all of this dry flat before hanging it on a wall. 4. Finally, brainstorm all of your favorite meals and write them on cut up strips of card stock. Keep all of your meals handy by gluing the berry basket to the front. We also keep blank strips of paper and a permanent marker in the basket in case we try new recipes and find new favorites, too! Once your meals are set each Sunday, it's easy to shop and plan for the week! Our favorite grocery store is definitely Publix. Right now, they are having a fantastic deal when you buy ConAgra frozen foods (like Bertolli and PF Chang's) at your local store. With each $30 purchase of participating foods, Publix shoppers will receive a $10 store gift card. You can purchase up to $150 in products to receive $50 in gift cards. Such an amazing value! You could even win an additional gift card (up to $200 in value) by enrolling in Frozen Rewards Club by March 21st. Click this link to head to the Frozen Rewards Club to register for the program. With less time spent cooking, there is more time to talk about our day, play cards, and relax. What's your favorite easy weeknight meal? 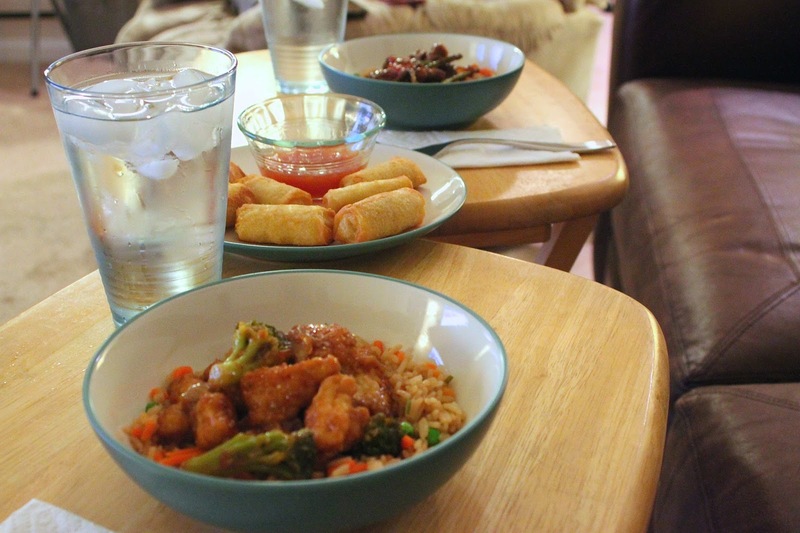 Have your tried any PF Chang's meals before? I love PF Chang's meals! Also, what a cute idea and way to meal plan! I have never tried the frozen options before but I actually bought some this past trip so we will see! Have a great weekend!! I love your meal planning board! That makes it easy to switch up meals to different days when you end up going out or cooking something else. It's all about the little times and moments. Love your cute board! Your menu board is adorable! Your board turned out super cute, and that easy weeknight meal looks delish!! Um, I'm going to be picking up some of that PF Changs - YUM! And I love the idea of your board! Uhhhhh, we totally need some tv trays up in our place!!! 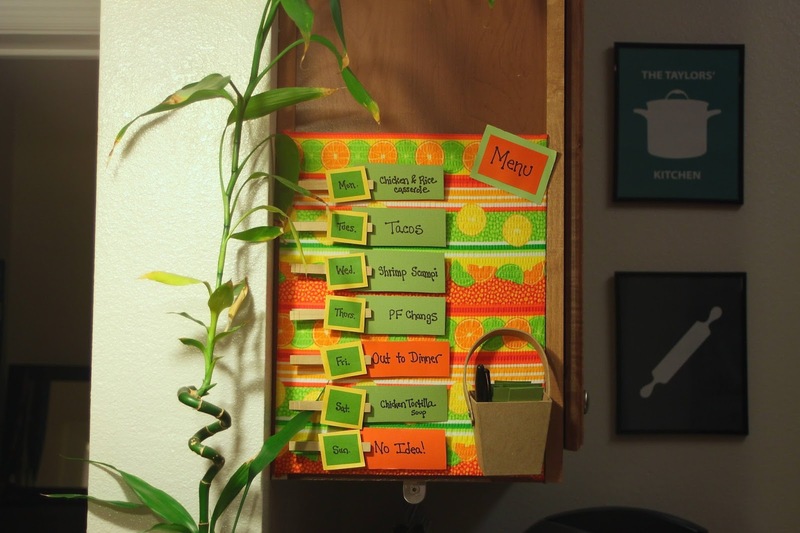 What a cute meal planning board, I'll have to remember this when I have my own kitchen to meal plan in! Those meals are frozen meals, no kidding?! Did the spring/egg rolls taste good with it being frozen? I didn't know PF Chang's did frozen meals!! Yummmmmm!!! I'm all about easy weeknight dinners, by the time I get home and feed our fur baby, play with him, so on and so forth. The last thing I want to deal with is dinner. I need to check these out. Love the board idea too! That's such a good deal! Your meal planning board is so cute! We love meal planning! 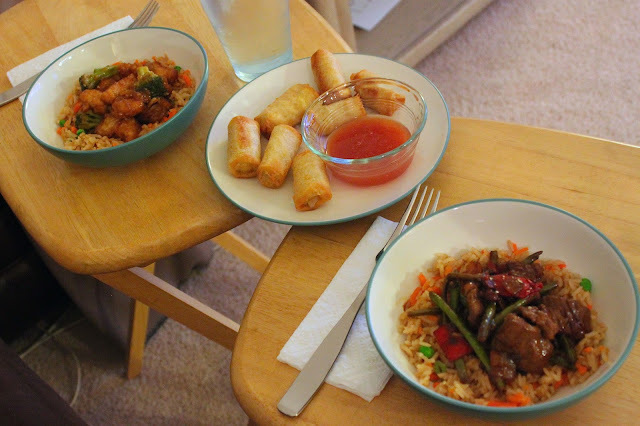 PF Chang's meals are pretty good (not as good as the real deal though)! I love dinnertime with my husband, it's fun to just talk & catch up! Cute idea and great way to stay organized! I plan our meals every weekend so I can purchase exactly what we need for the coming week and not overbuy at the grocery store but I like this idea for keeping track. 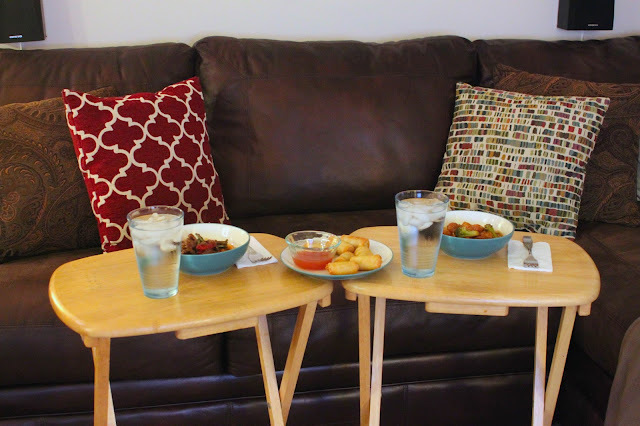 We plan out too (or else we'd never eat haha) but wow I think I need a board like that = too cute! 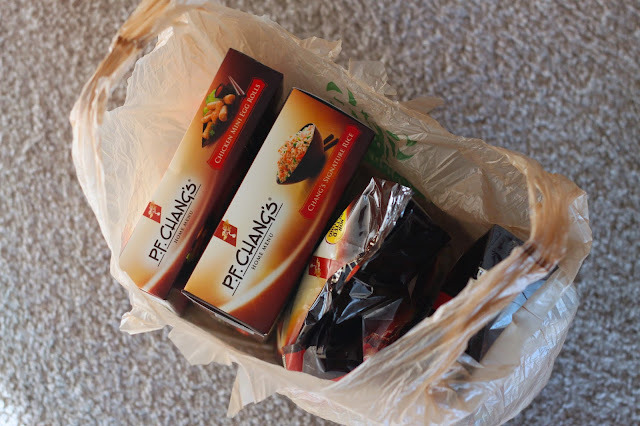 I've only eaten at PF Changs but never had their grocery stuff, may have to try! Love the menu board! Have a great weekend! Cute meal planner and I miss Publix so much! I will definitely be hitting them up for a sub when I come to visit! I am so ready to get back into a flow of meal planning! We just had those egg rolls and they were amazing! It's so important to make sure you always remember to take time for each other.